More than 300 people perished in the powerful earthquake that struck Mexico City last week — but thanks to the dedication of first responders, an untold number of people have been rescued. And in the midst of all that devastation, those on hand to help have proven time and time again that even the humblest of creatures are worth saving, too. 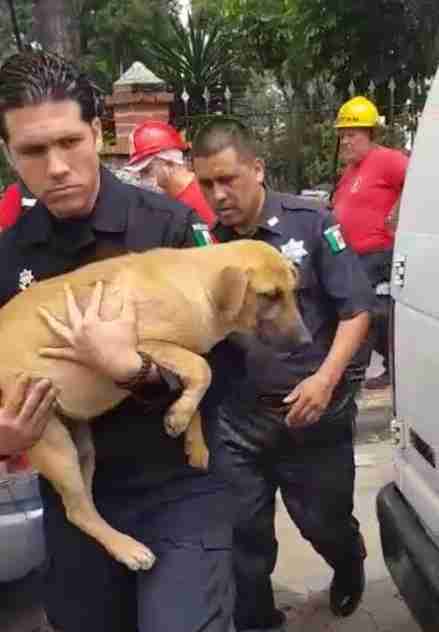 Two days following the 7.1 magnitude quake, members of Mexico's Federal Police discovered an injured stray puppy who seemed paralyzed with fear, huddled alone along a hard-hit street. 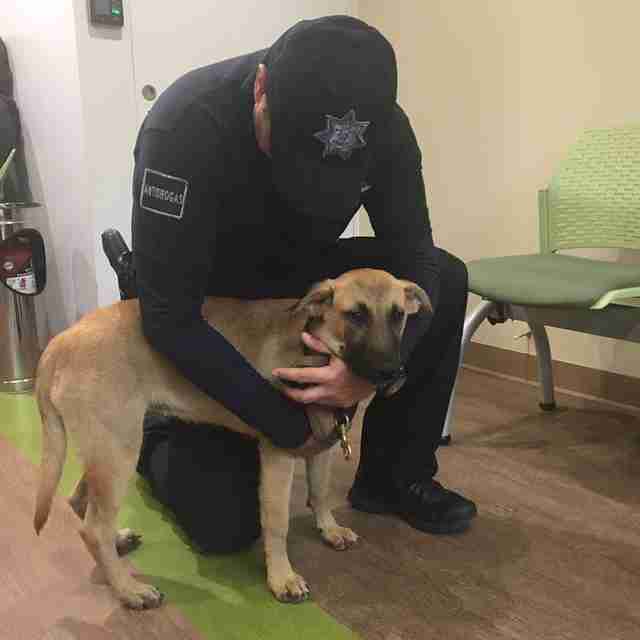 Officer Gil was among the first to notice the pup, who appeared to have given up all hope. 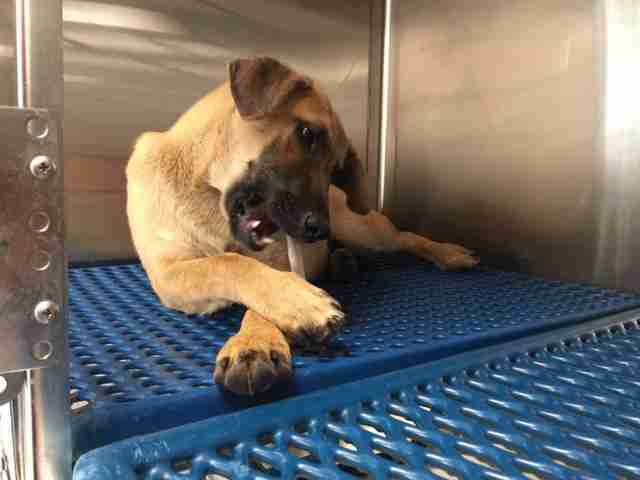 "Some superficial wounds were visible on her body and she was scared, refusing to eat or drink water. At that moment she apparently could not move," Gil told The Dodo. 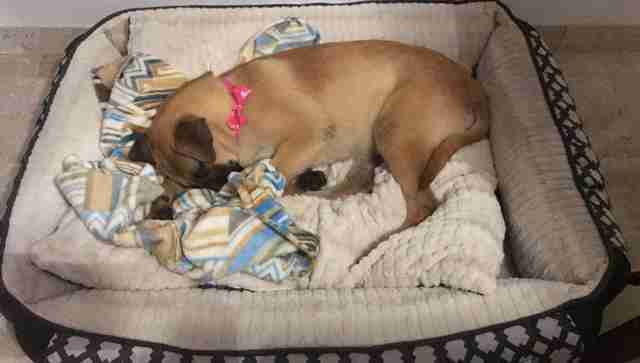 Though some might have passed the puppy by, Gil and his fellow officers refused to ignore her. 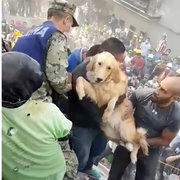 So they gently lifted her from the spot where she'd become stranded, and after a brief medical assessment, rushed her via motorcycle to Mexico City's Central Veterinary Clinic. 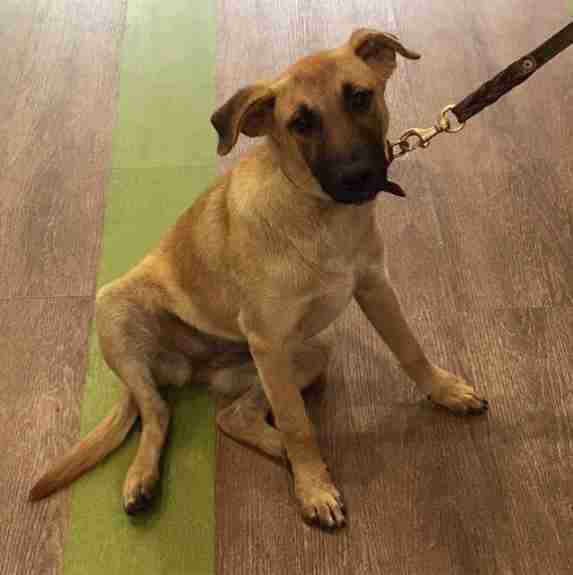 At the clinic, the puppy underwent an examination. Though she was found to have some slight internal and external injuries, likely suffered during a building collapse, fortunately none of her wounds were life-threatening. She was now in good hands, and began to perk up. ... and, of course, a good belly rub. Given the petrified condition she had been found in, the puppy's recovery has been remarkably swift. It wasn't long before she was eating and drinking normally. The next day, she got a visit from Gil and a few of the other officers who had rescued her. The bighearted cops even brought her a present: a cozy pillow, so she could recuperate in comfort. But the biggest gift was yet to come. Gil tells The Dodo that one of his fellow officers has decided to adopt the puppy, so she'll never be far from the people who saved her — noting the pivotal role rescue dogs have played in saving the lives of others. "For the Federal Police of Mexico, it's very important to protect life in all its forms," Gil said. "We hope to raise awareness about the importance of animal life care. The tragic events that occurred in our country have taught us that animals have much to give. The rescue dogs for Federal Police have contributed to the rescue of many people from the debris and with actions like these we can help them too." The Federal Police of Mexico go one step further in honoring the dogs who serve so faithfully alongside them. This security institution, working in partnership with the Federación Canófila Mexicana, is the first in the nation to create a program ensuring that K9 agents concluding their time of service will enjoy their retirement by being adopted into loving homes. After all, these hard-working dogs deserve nothing less.